Buffalo, NY (April 10, 2019) – Police and emergency medical crews were quickly on the scene of an accident involving a tractor-trailer that left an SUV severely damaged on Wednesday morning, April 10th. According to police, the crash occurred at the intersection of Kensington Avenue and Norma Place at an unspecified time. While very few details have been released at this time, authorities were able to confirm that an SUV collided with a tractor-trailer, and no other vehicles appear to have been involved. Authorities have not been able to provide any information concerning the cause of the crash at this time. Paramedics at the scene attended to the parties involved as injuries are believed to have resulted from the impact of the accident. However, neither the number of people involved nor their current conditions have been reported. Police are likely to be conducting a thorough investigation into the events that led to this incident. Our deepest sympathies are wholeheartedly extended to the victim or victims of this serious collision as they attempt to recover from their injuries. 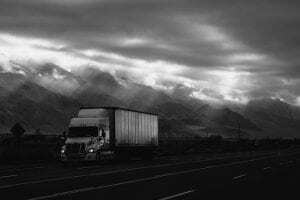 Truck accidents in New York are often fatal or catastrophically injurious, especially when the other vehicle involved has sustained such significant damage. While it can be terribly difficult, it is important for victims to know that they may have very substantial rights at this time. At Hach & Rose, we understand that there is nearly nothing as overwhelming as dealing with a sudden injury, and as members of the community, our accident attorneys are here for you 24/7 to answer any questions you may have. If you have been hurt in a New York truck accident due to circumstances beyond your control, please do not hesitate to call 212-779-0057 today.